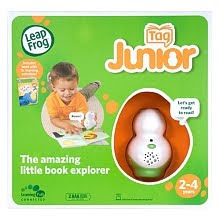 In the second of the products kindly sent to me by Leapfrog, Chrissy has been trying a Tag Junior Reader. The concept of the Tag is to develop the child's skills, and to help them learn to read in a fun way. 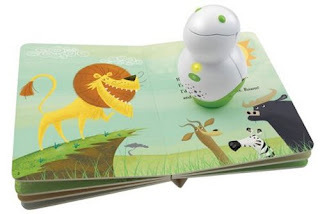 Just like the My Pal Scout, that Edward tried, The Tag Junior can be set to include the child's name via the same Leapfrog Connect programme (again that is available to download free from the Leapfrog site) we originally used for Edward's toy. The website makes things incredibly simple. Once you have downloaded the software, in an easy step by step format even the most Technophobe of parent could work out, you simply tell it what product you have, and the options are in bold letters on the first page. There's even a handy help page that sorts out any problems or questions you may have. The first thing we did was to look to personalise the Tag (that Chrissy has nicknamed Taggy) to say her name. Unfortunately, Chrissy's name wasn't listed, but there is an option to email your child's name, to be added to the next update on site.We chose a nickname instead. This was then, at the click of a mouse, uploaded to the toy. Next step was to look for the programmes to correspond to the 3 books we had also been sent. It was so easy, in a couple of clicks and in no longer than it would take to boil a kettle, we were ready to go. The books themselves are hardy. We have a teething boy so enamoured with chewing and biting we have taken to nicknaming him Jaws, and sadly, some of Chrissy's books have suffered as a result. But not so the books from Leapfrog. They are very colourful, with big text making it easy to read, and beautiful illustrations too, particularly in the title"Panda Bear, Panda Bear, What Do You See?" Chrissy's immediate favourite has been the "Back Yardigans Opposites". We have seen this show a few times on Nick Jnr, when it's on Freeview in the mornings. The characters are very cartoony, and neon bright and smiley-just what my daughter loves! But the real feature lies when the Tag is placed at different points on the book, from front cover to last page. Unlike some Reader toys I've seen previously, the wand, pen or in this case Tag (who looks a little like a snowman!) had to be placed on designated squares or patches. But with the Tag we received, Chrissy could happily place it on any area of the page, and different facts would be relayed to her, as well as reading the actual text of the book. If, for example, she placed it on a picture of an animal, it would then tell us what noise the animal makes, where it comes from, and what it likes. Chrissy was amazed when I sat with her, and showed her what it was and what it did. She liked that she could control how loud it was-it has a handy button on the side to turn the device up or down. It also tickled her that, when switching it on, it said "Hello Cheeky Monkey" to her in a giggly voice. Something else that surprised me was the sites ability to remember to use an English accent-I thought I would have had to reset this per toy, but not so. You just sign in with your email address and password, and it remembers basics like this. She can be a bit clumsy, she is only 2 years and 8 months despite her height, but after a few attempts, she has the hang of it. It only takes a small touch of the sensor, and it doesn't need to be held on the text or picture until it finishes its speech, which is handy as Chrissy put it down fleetingly before moving it elsewhere. She has found it enjoyable, and as there are so many titles in the series, as well as more promised in the future, I can see this becoming a favourite. And it will grow with her-you set the attainment level at different developmental stages. 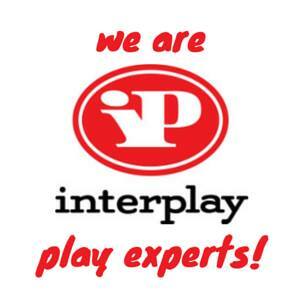 All in all, we have been impressed with the product-it's ease of use for parent and child, it's high boredom threshold, and the fact it is something that can be updated regularly. I don't think Chrissy will replace this at the moment with sitting on my lap with a book, but I do think as she gains independence it will be something she looks to for a story. 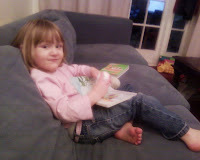 Which will be great for me as I can read a book myself without having one of hers chucked on my lap! 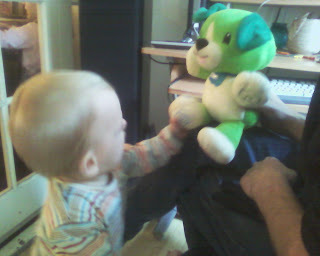 With thanks to Nia from Leap Frog Toys, Edward has been sent one of their newest toys, My Pal Scout. Now, Edward is quite hard to please when it comes to toys, he usually has a quick look, then crawls off (usually in search of food the greedy child!). The bear came whilst he had his nap, and Chrissy got first look at it. She liked it, as it made noise and she generally likes anything that's cuddly. When Edward finally woke up, and was handed the bear, his face literally lit up. He has had it for three days now, and it goes where he goes, and if Chrissy tries to pinch it she gets baby shouted at so much she drops it! But it gets better than just a quiet(ish) house. How often have you bought a toy for it to be relegated to the toy box after a few days due to boredom? Well, Leap Frog have obviously thought about ways to combat this. My Pal Scout and its girly equivalent come with a USB cable to plug into your computer. There's no fiddling about with disks (that would get lost in our house). 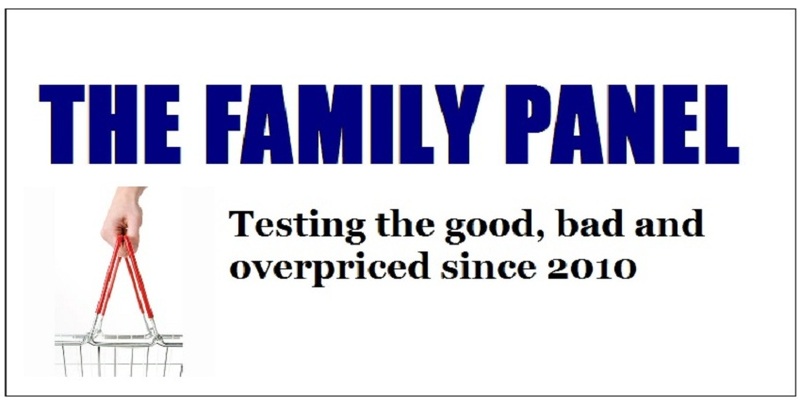 You simply plug the bear in, go to the leap frog site and download the software. When that's done, the most ingenious element of the toy becomes apparent. 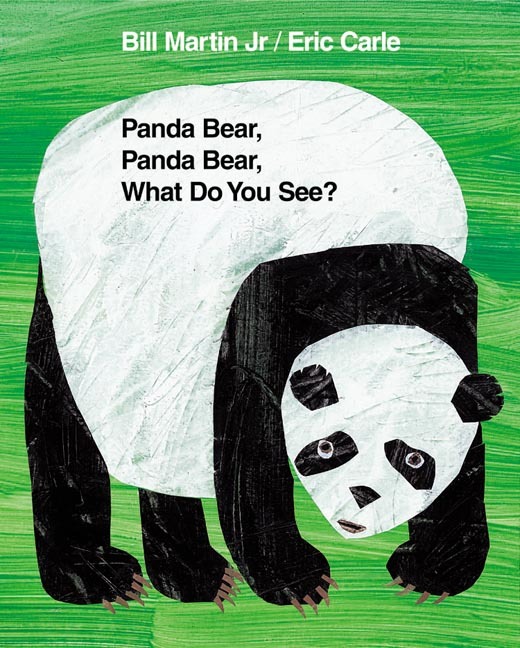 Not only is there a library of over 300 songs, from nursery rhyme favourites to soothing lullaby's to chose from to download to the bear, but you can further improve it's likability by selecting your childs favourite foods, colours and animals for the bear to repeat. Something which I absolutely love is that the website has a database of kids names and nicknames, meaning the bear can refer to your child by name. So now, when the bear say Hi, it says it to Edward, which makes him smile no end. It also means that Chrissy knows the bear is Edward's and not hers. If your childs name or nickname isn't listed, then you can email the company and they will add it to the list! 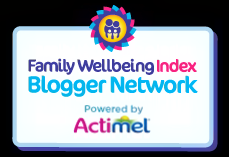 The website is regularly updated with new songs and activities, and also includes a handy feature to check on your child's developement, and tips on activities you can do together with your child to complement those included in the bear. The accent can also be changed on the bear via the website, so our bear, when first brought out the box , spoke in an American accent, and now, since updating him, speaks with a lovely English accent instead. Another great factor is the lullaby setting. With a push of one of the paws, you can set the bear to play 2, 5 or 10 minutes of soothing music. Since having the bear, Edward has gone off to sleep with no noise at all listening to the songs, and when he woke up at 2am, I switched it back on and once again he went straight off. It also tells him its time for "goodnight Edward". The bear is just as easy for Edward to operate as it was to download the settings. The paws feature chunky embroidered symbols- a musical note, a ball, a cloud and stars for lullaby setting, and an on/off switch. Which brings me onto another great thing- you switch it off if it gets too annoying! To say I am impressed with this bear is an understatement. It's got the likability factor with the children, is none to fiddly or complicated to set up, and can be updated to lower the possibility of boredom. If this toy doesn't win awards from the media I will be shocked. 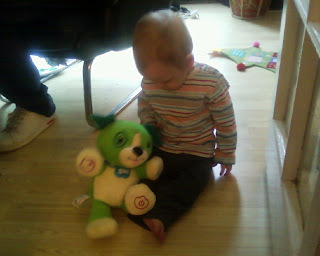 It's a great all round educational toy which I'm sure will become a firm favourite in this household.